Medieval Norman helmet with face guard. 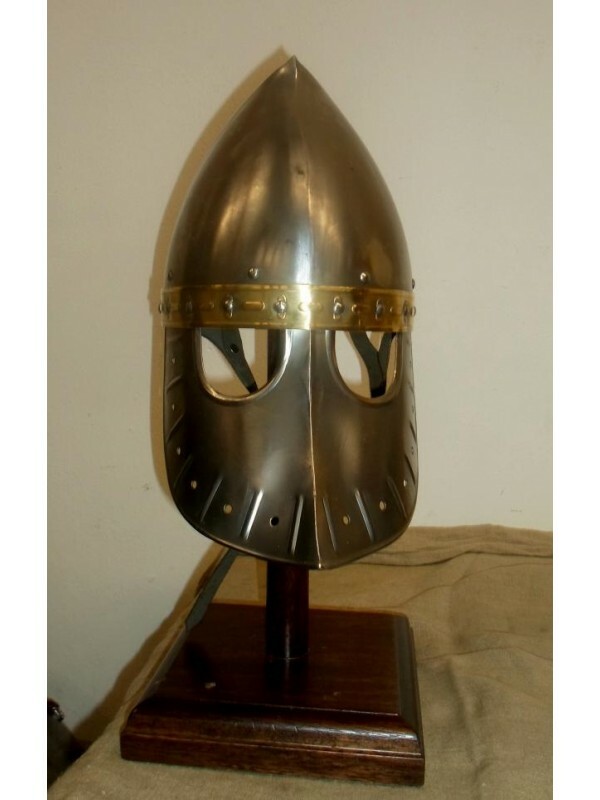 All of our historical reproductions of helmets in the Middle Ages, are forged by hand from a sheet of steel. 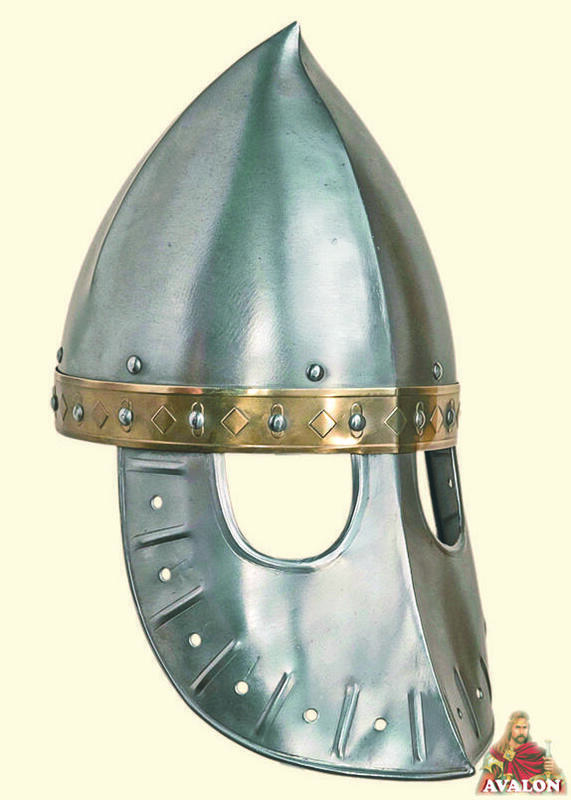 Medieval Italo-Norman Helmet with visor, shaped to protect the face, which falls below the neck with eye slits and holes, made entirely of steel, handmade with leather straps to be worn. 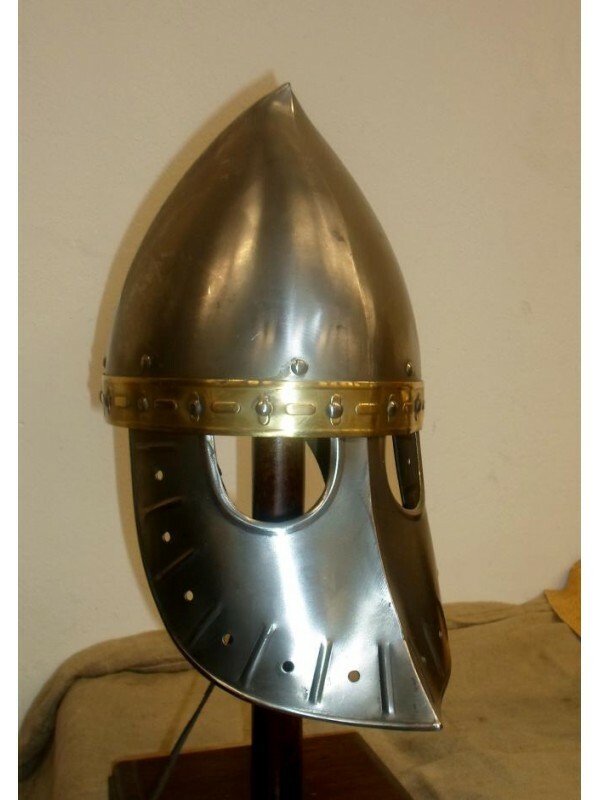 Norman Helmets medieval combat. Entirely made by Italian craftsmen in steel, handmade with belts leather to be worn. 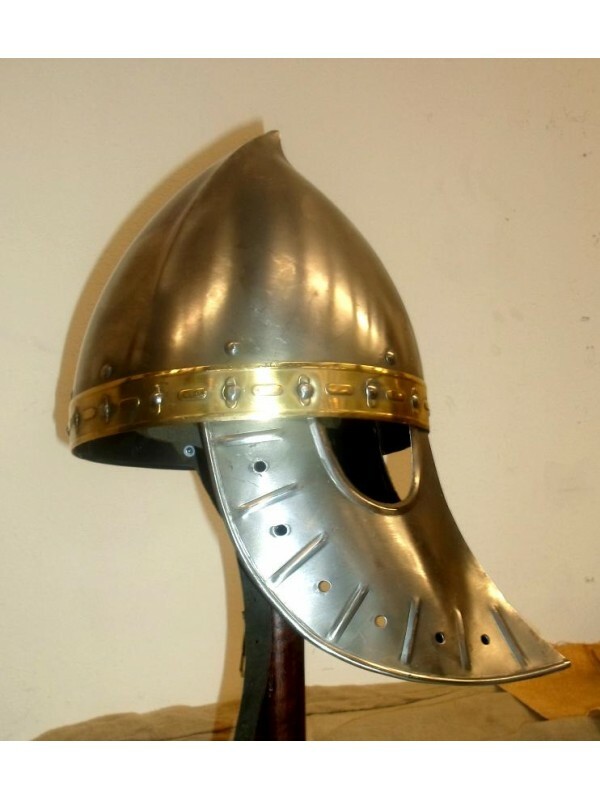 All of our historical reproductions of helmets in the Middle Ages, are forged by hand from a sheet of steel of a thickness between 1.2 and 2 mm. 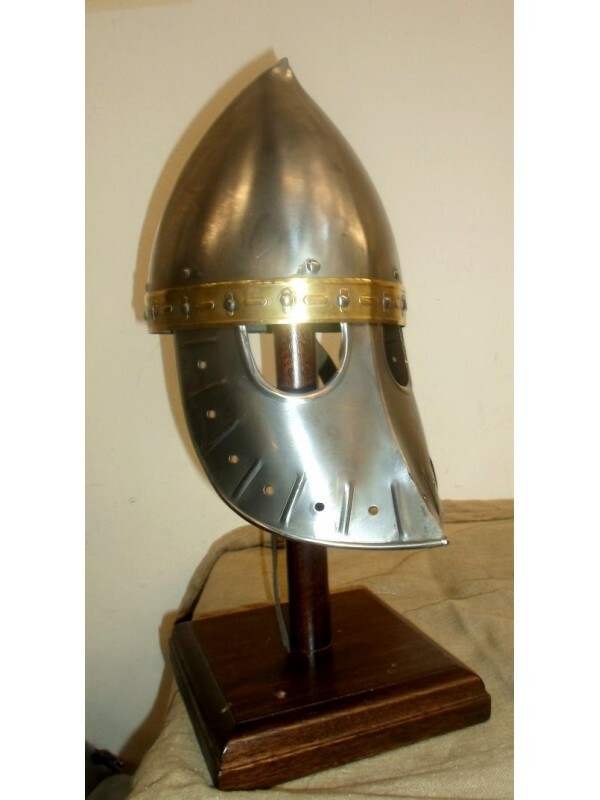 The Viking Spangenhelm helmet and is so named for the eyepieces formed integrally with the nasal.